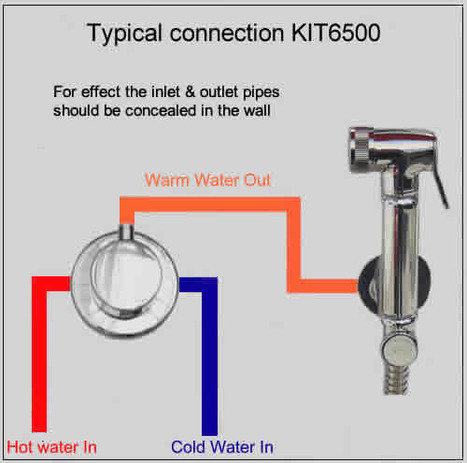 KIT6500: Top of the range Thermostatically controlled douche shower kit. 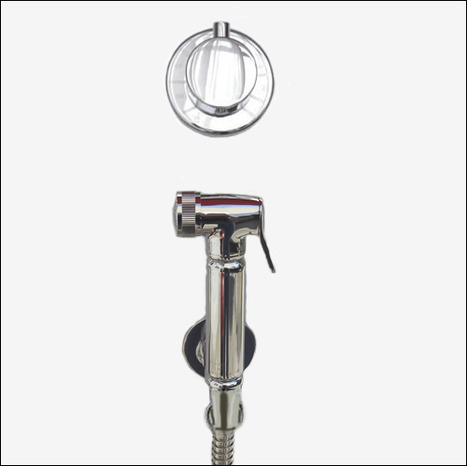 Comprises of the BRA4000 shower and hose, VAL2100 combination shower mount/ with Auto Shut Off valve and the MIX6400 thermostatic mixer. To view larger images and additional information, click on the image to the left which will the load main page where more detailed information is available. Includes free next business day guaranteed courier delivery by DHL in mainland U.K. (excludes some remote areas of Scotland, we send by Royal Mail first class post to these areas) & from £15.95 to other countries dependent on location. All components come in mirror chrome finish. This kit provides all the key parts your plumber will require to install this top quality suite at a discount price. Only suitable for CONCEALED installation .i.e. pipework is concealed from view by being installed in or behind a wall or partition. To view additional images detailing the parts in the box and piping digram etc, click on the View Additional Images under the picture to the left then click next on the enlarged image. It is essential that your Bidet Sprayer is installed in compliance with the Water Regulations Advisory Service (WRAS) guidelines.If in any doubt please consult a qualified plumber.